Daimler is turning Smart into an electric-only, urban-mobility brand. BEIJING -- Daimler is in talks to build electric Smart cars in China with a local partner, according to people with direct knowledge of the matter, in a push to boost sales of the minicar brand in the world's largest EV market. The automaker is in talks to set up a new joint venture with Beijing Electric Vehicle, a unit of its long-time Chinese partner Beijing Automotive Group, to make Smart EVs, said the people, who asked not to be identified because the deliberations are private. Daimler has been making Mercedes-Benz cars for the mainland with the state-owned group since 2005. A spokeswoman for Daimler in China and a representative for Beijing Electric Vehicle, locally known as BJEV, declined to comment. The German automaker bought close to a 4 percent stake in BJEV in March, a cooperation it says will allow it to "further deepen its understanding of Chinese consumers' needs." 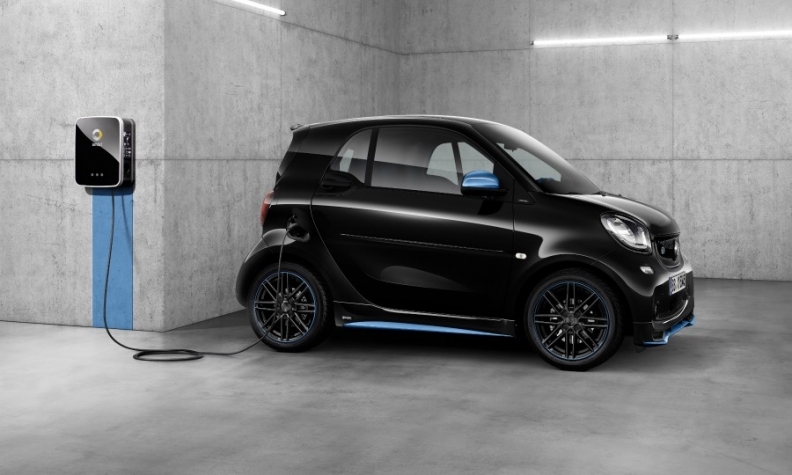 Daimler is turning Smart, which sells the ForTwo globally and the ForFour in Europe, into an electric-only, urban-mobility brand. The automaker in May announced changes to Smart's top management in a strategy shift toward electrification. Smart, which has racked up losses since its launch in 1998, is seeking to tap young, urban consumers in China who would potentially buy it for parking convenience. Daimler, which has been importing Smart cars into China, hasn't detailed sales of the brand in the mainland. Deliveries of the brand globally slumped almost 7 percent last year to 135,025 vehicles, according to the company. Smart's main contribution to Daimler has been to help offset the emissions of high-margin gas guzzlers such as the Mercedes S-class sedan. It isn't immediately clear how big a stake Daimler would want in the joint venture. China requires foreign manufacturers to partner with local firms, with a 50 percent cap on ownership in the venture. Policy makers have been lately relaxing the limits -- overseas EV makers can set up units on their own starting this year, while the restrictions on passenger vehicles will end in 2022. In its fight to cap carbon emissions and improve urban air quality, China has emerged as the world's No. 1 market for EVs and is determined to lead the trend in electrification. The Asian country has set up a target to increase sales of new-energy vehicles 10-fold to 7 million units annually by 2025, including plug-in hybrids, full-electric and fuel-cell vehicles. While rival companies such as BMW are bolstering their presence in China to escape a tariff war between the U.S. and China, Daimler's JV is primarily meant to cater to the local market and stem the decline in sales of the Smart brand. Tesla secured a preliminary deal to build a factory near Shanghai last month just days after China's retaliation against President Donald Trump's tariff hikes made imports more expensive. Besides the BAIC Group, Daimler has also teamed up with Warren Buffett-backed BYD in China to make full-electric cars under the nameplate Denza. Daimler said in March that it will continue to invest in Denza product development. BJEV is also forming two joint ventures with Magna International for engineering and manufacturing EVs in China. BJEV is planning to list on a mainland stock exchange and is scheduled to start trading soon. BAIC Group's Chairman Xu Heyi said in a June interview with Bloomberg Television that the company would soon announce new partnerships to make premium electric cars in China.